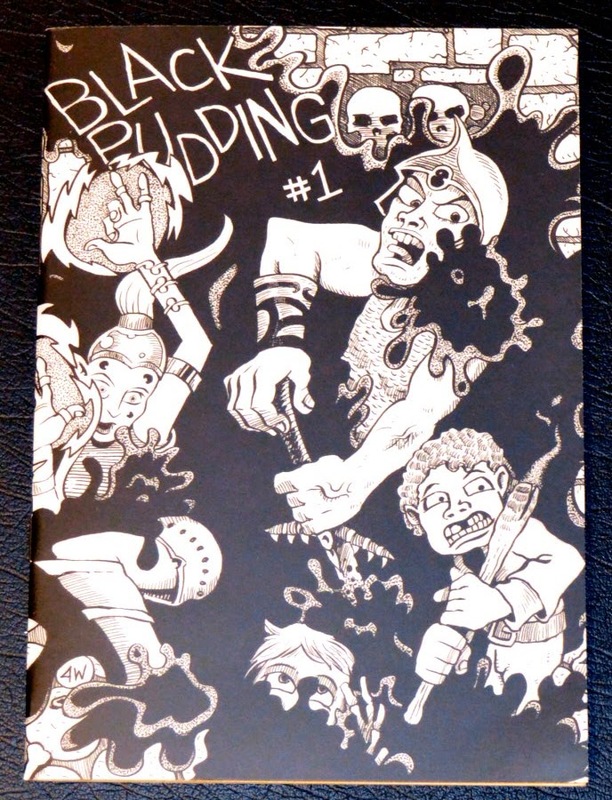 Black Pudding 1 Print Edition Out Now! We also have special wholesale pricing for packs of 10 issues. These are open to anyone so feel free to buy a 10 pack to split with your gaming group or to sell in your store. 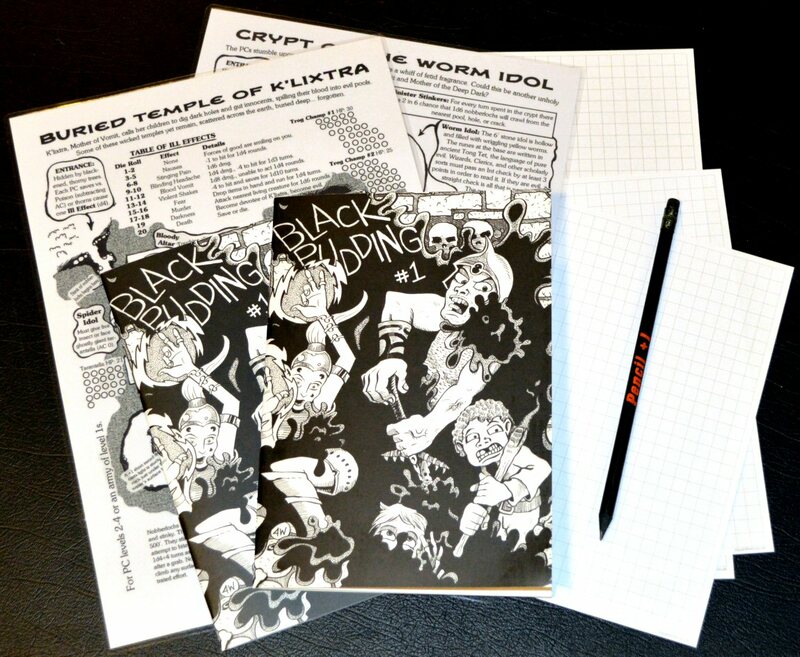 You may already have seen James V West's stunning new zine Black Pudding. If not head over to RPGNow.com and grab the PWYW PDF. It is quite simply the best zine ever. 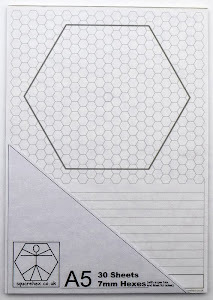 A few of days ago I tentatively asked James about his plans for a printed edition, and mentioned that I'd be interested in getting involved. I'm delighted to report that he's agreed to let me print and distribute Black Pudding. The A5 printed edition will be litho-printed on paper of the same weight and finish as The Black Hack and Oubliette Issue 9. I'm expecting them to be delivered just before Christmas. 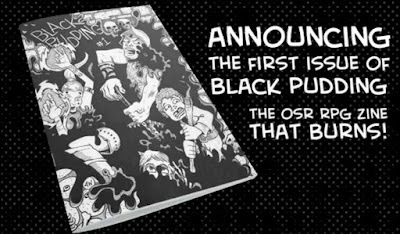 Cover price will be £3.00 and they'll be a wholesale option for orders of 10+ copies. At launch there will be shipping options for the UK/EU/Rest of the World.